Cabrestante Hidraulico es apropiada para tensar un cable. La garganta de los tambores esta fabricada con acero tratado termicamente. NINGBO DONGFANG ofrece un agama de cabrestantes hidraulico de 30 KN, 40 KN, 60KN, 90 KN, 180 KN, 220 KN, 250 KN, 300 KN, 360 KN. - Closed hydraulic circuit,infinitely variable speed control in both rotating directions. - The max pulling force for stringing operation can be preset, pulling force in the rope can be read on the line pull gauge. - Spring applied hydraulic released brake acts automatically in case of hydraulic failure to ensure safety. 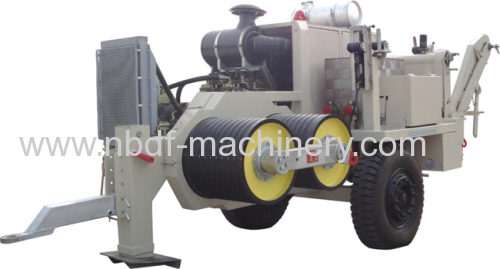 - Hydraulic oil cooling system. 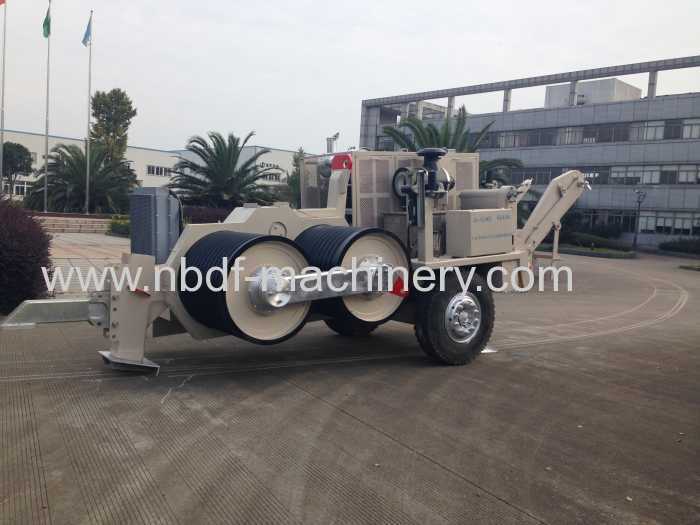 - With rigid axle for towing at high speed, the machine looks beautiful. - Hydraulic actuated pulling rope clamp for convenient reel change. 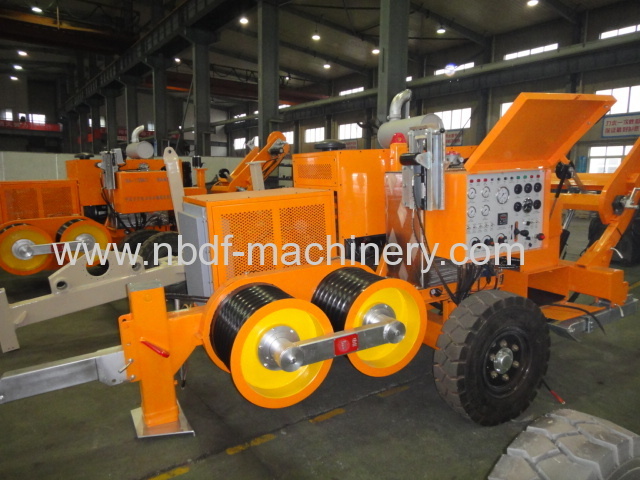 - Integral self-loading reel winder with automatic level wind. - Engine: Cummins water-cooled diesel engine. 2. We will ship the products within one month normally after receiving the payment. 3. Stock is available for standard product. 1. 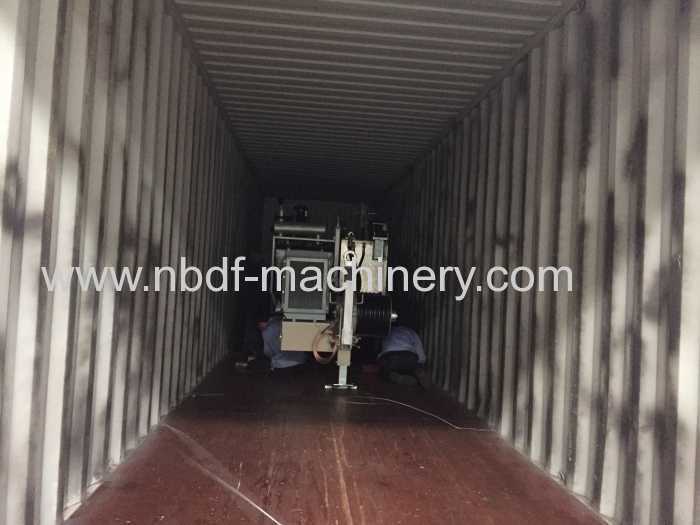 The machine will be loaded in container and fixed with steel wire rope. 2. The accessory and operation manual will be packed in plywood case. 1. We accept T/T and L/C. 3. Please send us the L/C draft to us before issue L/C. 1. High quality and competitive price, more than 30 engineers working in the design and quality control department. 2. 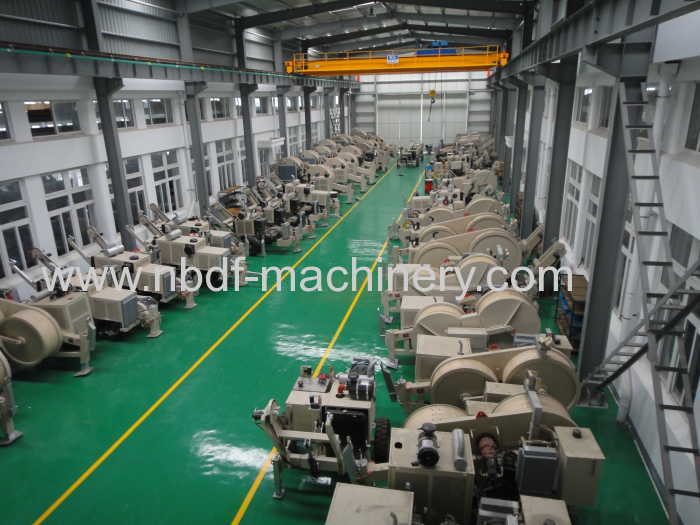 Leading and biggest manufacture for stringing equipment in China. 3. 25 years of production experience and more than 1000 customers in the country and abroad market. 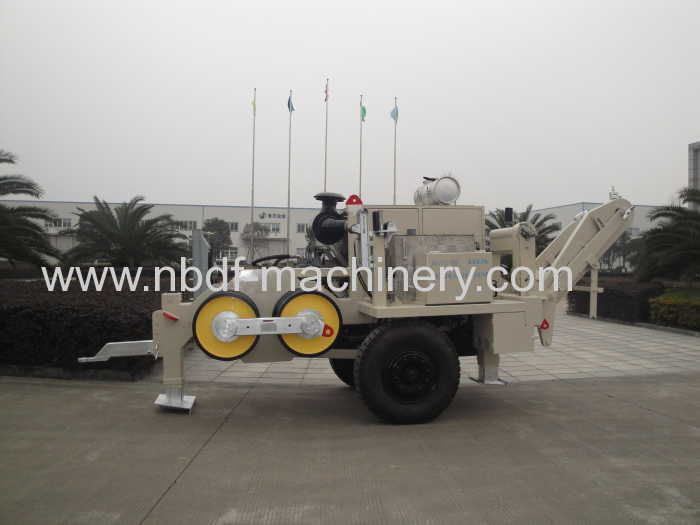 The set of 9 ton puller and 8 ton tensioner have been sold to more than 20 countries. 4. Big stock condition for fast shipment.